There is no better place to assess the state of auteur African cinema than at its premier showcase, the biennial film festival in Ouagadougou, the capital of Burkina Faso. Popularly known by its acronym, FESPACO, the Festival panafricain du cinéma et de la télévision de Ouagadougou recently celebrated its 50th birthday. 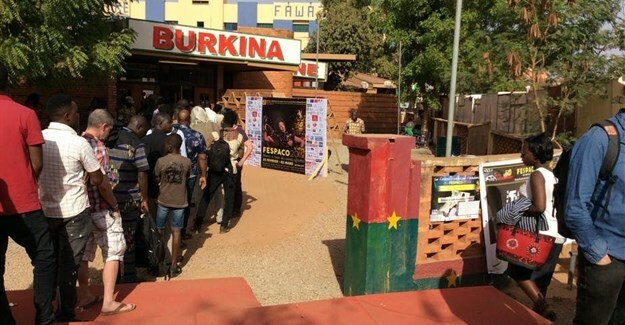 The entrance to Fespaco’s main venue, Cinema Burkina. Credit: Pier Paolo Frassinelli. FESPACO and the 1966 Journées cinématographiques de Carthage in Tunisia, were the earliest concrete steps towards the idea of African cinema on African soil. These two film festivals were the first major African events entirely dedicated to showcasing movies from across the continent. Watched by festival goers and Burkinabés sitting on their scooters or plastic chairs, screenings included Souleymane Cissé’s Finye (1979) and Baara (1983), Med Hondo’s Sarraounia (1987), Idrissa Ouédraogo’s Tilaï(1991) and Gaston Kaboré’s Buud Yam (1997). More recent works such as Zola Maseko’s Drum (2005) and Alain Gomis’s Tey (2013) and Felicite(2017) were also shown. Pier Paolo Frassinelli is associate professor, communication studies, University of Johannesburg.